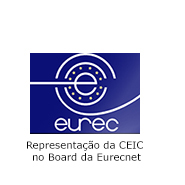 This detailed guidance is intended to provide advice on the format and content of the information to be submitted to an Ethics Committee in any EU Member State for: a request for an Ethics Committee opinion on a proposal to undertake a trial on a medicinal product for human use, a notification of a substantial amendment and the request for an Ethics Committee opinion on a substantial amendment, a notification of the Ethics Committee on the end of the trial or an early termination of the trial. This detailed guidance sets out guidance on the collection, verification and presentation and decoding procedures of adverse event/reaction reports arising from clinical trials on medicinal products for human use. In addition, it sets out the responsibilities of the concerned parties. Declaração dos princípios éticos para a investigação clínica, incluindo investigação em material humano e dados identificáveis, elaborada pela Associação Médica Mundial.